Framing our wedding photo, wedding certificate or Ketubah – to mat or not to mat? Everyone loves preserving their perfect memories by framing their wedding photos, wedding certificate or Ketubah. Seeing your wedding photos around your house will be a constant reminder of the people you love and that wonderful day. Framing your wedding certificate or Ketubah can be just as beautiful. The big day has passed. The pictures have been taken and the wedding certificate or Ketubah has been signed. Now, along with what kind of frame and glass you will use, you must decide if you will mat your photographs and certificate. So, how do you go about choosing whether to mat or not to mat? Matting the photos and certificates can enhance the overall feel of the subject inside the frame. This means your photos and certificate will look even more special. Matting will keep the glass separate from the work so that it won’t stick to the glass. Know that there are multiple kinds of mat. A few typical types you can get are alpha mats, rag mats, or paper mats. Each of these has different qualities including acidity. So if you go with the matting option, be sure to pick the best one for preserving your memories. Alpha mats, or Alpha-cellulose mats, is a wood blend chemically treated to remove the acids that can decay whatever is framed. Rag mats, are most often used by museums because they are a naturally acid-free mat that stay white, and keep the framed subject safe forever. Paper mats are the most inexpensive option; however they can contain a lot of acid that leaks onto your photos or certificates and brown the edges. Once you chose the type of mat, be sure to consider the size that you want. Wider mats look best when framing photographs. It is also suggested to you chose a white, or off-white color to the mat to keep things looking crisp and clean. Even if your wedding had a color theme, and you’re thinking of making that color be the mat, you might want to reconsider as the mat color could overwhelm the photos. Have some black-and-white photos? Consider using a layered mat with gray, white, or black options for an interesting look. If you end up matting your work, know that you can’t really go that wrong and that you can always change the styles if you decide to do so. If you chose to frame your photos, or certificate without a mat, know that you will have to mount the work to a back board so it doesn’t slip within the frame. Mounting options could be dry-mount tissue or folded hinges. Dry-mounting is not known to be archival. After a while (several decades), the acids from the material can damage your photos. Use dry-mount tissue like Buffer Mount which is acid free and can be detached from the subject years later. This will allow your wedding photos or certificate to be preserved forever. Folded hinges can also be used to mount your memories; however, they are most often used when matting the pieces so that the hinges can be hidden from view. If you crave the feel of a boarder before the frame much like a mat, consider using the backboard for the boarder. Going without a mat, can give the photos a much more candid vibe and is a much more inexpensive option when it comes to framing. Photo Canvas or Brush Strokes Canvas: What’s the Difference? So perhaps you begged and pleaded or just got lucky enough to get the best wedding photographer you could afford. Now you have a wedding album that you will cherish forever. What else is there to do? 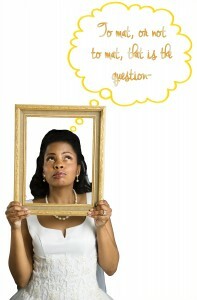 I mean, how often do you look at your wedding album or if you are a bride-to-be, how often do you think you will? You could select your favorites and put them up all around your home, but if you live in a small apartment, this could end up looking like a wedding theme park. It’s really a shame to keep these beautiful photos stashed away, but, after the first year, some couples feel awkward keeping them on the coffee table and they end up either in a drawer or under baby bottles and other items that begin to take precedence in this central location. There are options which give these memories the place they deserve. Two that I can think of are photo canvas and brush strokes canvas. The really wonderful thing about that very expensive wedding photographer who took those breathtaking photos is that you can enlarge the pictures and make stunning, large pieces of art that can be hung on the wall or arranged in clusters to create a “moment” in the room instead of the aforementioned theme park. So, What’s the Difference Between a Photo Canvas and a Brush Strokes Canvas? A photo canvas is a photo printed on gallery quality canvas. This is also called a canvas print. The canvas is stretched, or gallery-wrapped, onto an internal wood frame (called stretcher bars) and displayed. The print is intended to look just like your original photo, only printed on stretched canvas rather than a less-than-creative poster print. An image that goes completely around the sides of the frame is called a gallery wrap which creates a three dimensional effect of the mounted print. The most obvious advantage of the photo canvas is affordability. This is often a less expensive alternative because the picture doesn’t require framing and the stretcher bars do not need to be varnished or treated. The result is a traditional art work that suits any modern home. A brush strokes canvas starts by using the same high resolution professional wedding photo but a graphic artist will go over the photo image by hand on the computer to give the photo the look of an oil painting with actual brush strokes. The image is then printed onto a canvas, and stretched for display. This detailed process is what makes your canvas look more like a painting than if you were to print the photo on canvas without the paint brush application. The considerable advantage here is the added texture that instantly gives your photo the appearance of a portrait painted in an artist’s studio. That said, choose your photo wisely. This may not be the best format for one of your more candid shots, but a captured intimate moment may be just right. Give it some thought. This is a piece of art, after all. When investing in one of these master creations be sure your image editors know their way around composition, contrast, color management—and of course canvas fine art printing. Many shops will offer free retouching (if you choose) for color and exposure correction as well as red eye, date stamp and minor blemish removal. Is it worth the cost? Definitely. It is a meaningful gift that that will remind your beloved of that most important moment that began your lives together. So go ahead, and hang one over the fireplace in the living room. Your new canvas will also go a long way to alleviate any guilt you may have for storing away your wedding album well out of reach of spilling bottles. It is also the perfect conversation starter that will also be a socially acceptable reason for bringing out the priceless wedding album, yet one more time for your visiting guests. What’s the Difference and which is Right for You? No two weddings are exactly alike. This is because we take our unique personalities and pour them into our special day. Your personality as a couple can also determine the way in which you wish to capture and cherish your big day’s special moments. 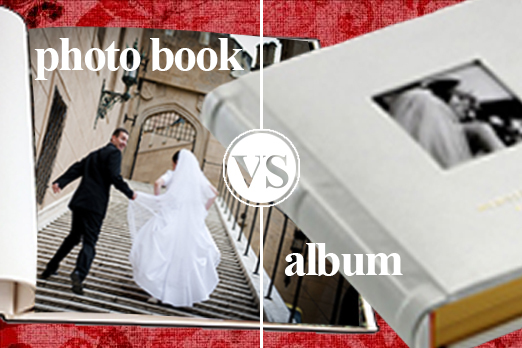 Read on to decide if you should order a wedding album or a photo book from your photographer to show off your coveted pictures. First, it is important to understand the difference between the two books. A wedding album is a large, bound book that is designed with slots and/or framed spaces to hold hundreds of pictures that get developed by your photography pro. They come available in a number of finishes and are the most traditional way to display your images. All images are housed safely underneath a rich and smooth leather cover, which can usually be embossed. A photo book on the other hand, can be large or small and has dozens of design layout options for photographers to digitally arrange your photographs without printing them out or mounting them. The book comes available in a hard, soft, or leather bound cover which can also be customized to the couple’s liking. Couples who consider themselves classic, traditional, and who hosted a very formal ceremony and reception generally stick to tradition and order a wedding album. Its timeless design appeals to conservative couples who want to replicate their parents’ albums and who want to ensure a long lasting, high quality “house” for their cherished photos. While these albums are elegant, they can be rather expensive. Couples spend anywhere from $500-$1,000 (and up) on these bound keepsakes, so if you are on a tight budget, a photo album is not for you. Couples who consider themselves modern, technology savvy, creative, and outgoing generally gravitate toward the new trend, photo books. They tend to love the design layout options and really let their creative juices flow during the design collaboration with their photographer. They also love the fact that they don’t have hundreds of loose photos floating around and have only their top 25 favorite (or so) in one place. Many photographers include a DVD with all the wedding images on it so couples can print out the ones they want or load them onto their computer for other purposes. Couples spend anywhere from $75-$200 on photo books, so if you are on a budget, this is perfect for your wallet! Be sure to consider the pros and cons of each before you make your final wedding photo decision! Photos Before the Wedding: Where Should They Take Place? When it comes to commemorating the big day, you know that your photographer will be capturing all of those special moments at the ceremony and reception – but what about the photos before the wedding? From the engagement photos to the photos that will be taken right before the ceremony, these represent an opportunity to reflect your unique style and personality. It also gives you the chance to take the kind of pictures that you’ll want to treasure forever. From intimate moments with your sweetheart in the park to delicate moments getting ready in the bridal suite, photos before the wedding give you and your love the chance to reflect your tastes and style. You may want to consider taking photos before the wedding in a local park or anywhere else that makes the most of your local scenery. Engagement photo sessions represent a perfect opportunity to do this, as many couples want to make the most of any natural foliage or scenery. Additionally, this gives you and your honey the chance to celebrate your love in an outdoor space that’s precious to the two of you. For example, you may want to consider taking photos in the outdoor park where he proposed or on the street where you met for your first date. You may also want to request that your photographer take pictures of you and your honey as you prepare for the wedding. For example, have your photographer take pictures of you and your honey enjoying a pre-wedding breakfast, or of you and your bridal party enjoying brunch together. This is a great way to capture the moments before the madness, where you’re exhilarated by all that’s to come on your special day. In the moments between the ceremony and the reception, considering requesting that your photographer take pictures of you outside the venue or in a nearby park, if weather permits. If you’re having a winter wedding, consider requesting that your photographer take pictures of you and your sweetheart near a window with a picturesque view. Natural scenery represents a wonderful way to frame the beauty of such a special day – not to mention a special couple. When it comes to photos before the wedding, make the most of natural scenery and spaces that represent pivotal moments in your relationship. When it comes to planning your big day, there’s no denying you want to splash out on the dress, the flowers, and the champagne toast. But if there are ways for you to save money without having to cut corners on your wedding, you’re willing to try them out. After all, saving money on things like photo frames, favors, and decorations just means more money in your pocket (or money that could be spent on your gorgeous wedding gown!). If you’re looking for neat little tricks that can help save you considerable cash, try this engagement photo trick courtesy of Save The Date For Less (www.savethedateforless.com). At your wedding, your guests will only get to see you in formalwear. While you can’t wait to hear the gasps and the clicks of cameras as you walk down the aisle in your gorgeous wedding gown, your guests will certainly be delighted by signs of your unique yet familiar personalities. That’s why it’s such a fantastic idea to have your favorite engagement photo encased within a gorgeous frame and display that allows your guests to express their well-wishes to you and your new spouse. Here’s how the engagement photo frame works. In the middle of the frame is your favorite engagement picture, which features you and your now-spouse smiling out at your guests. Surrounding this joyous picture is a display that your guests can actually write on. There’s plenty of space for your guests to share their congratulations – so whether you’re hosting a wedding of 20 or 200, all of your guests will get a chance to write to their favorite new married couple. 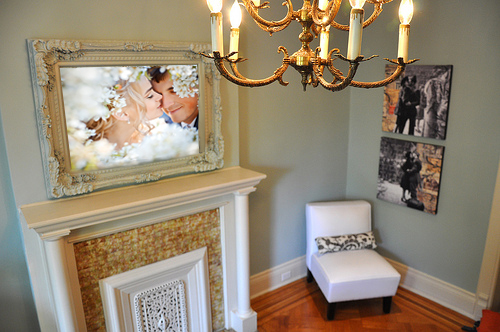 Combining the gorgeous picture and display is a beautiful fancy frame that will certainly do justice to your wedding. This frame can be placed on a display table next to your guest book, so your guests will know exactly where to sign their names and write their congratulations. As well as help you save some money! Want to Save The Date For Less? If you’re looking for even more great ways to save on your wedding, visit SaveTheDateForLess.com, where you’ll discover an array of special invitations, photos, frames, and other unique favors that will make your wedding day even more special. When it comes to planning your wedding, you want to watch every penny of you wedding budget possible. After all, you don’t want to start your new life with your husband in debt – and you certainly don’t want to spend a great deal of money if it means sacrificing on your honeymoon! 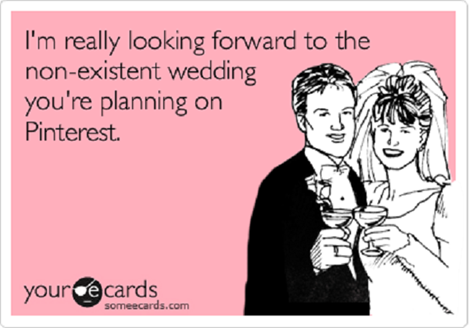 That’s why many people tend to forgo engagement photos in favor of saving a few hundred dollars in the wedding budget. While this can certainly go towards a few additional dinner plates at the reception – or even on getting a designer-label wedding dress – there’s no denying that your engagement photos represent a special time in your life. It’s the moment when you and your sweetheart are starting off on an incredible journey together – and this moment should be preserved forever. Find a photographer that will offer a discount if you hire him or her for both engagement and wedding photographs. Photographers offer combined discounts because it means they’ll have steady work. This discount also means you can enjoy the unique experience of having engagement photos without worrying that you’re spending too much of your wedding budget. Consider having a talented friend take engagement photos for you. Since engagement photos are more casual than wedding photos, this means you can have a family member or friend take over for a professional photographer. Be sure to offer the friend or family member compensation for the time they take out of their day. A cash payment or a nice gift is a great way to thank them for all their hard work and effort. Finally, be sure to use your engagement photos on your save the date cards and throughout your wedding reception. This is a great way to make the most of your engagement photos, which means you’ll save a significant amount of money in the long run. 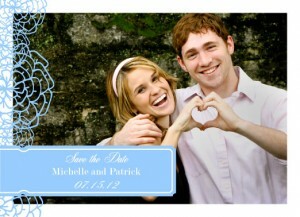 For example, you could use your engagement photos as a backdrop for your save the date card. You could also incorporate your engagement photos in your wedding reception. 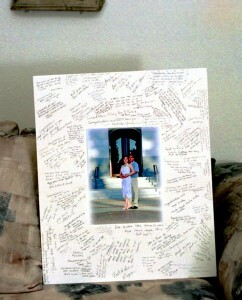 Have guests write their congratulations and well wishes on a mat surrounding a blown-up picture of you and your fiancé. You can frame the picture later as a special remember of the precious time when you were engaged to the love of your life. Be sure to use these special tips to save money on your engagement photos! Also, be sure to ‘like’ us on Facebook to get FREE return address printing! Hurry, this deal ends October 31, 2012, so don’t miss out on this amazing offer! Your wedding day will be the most important day of your life – and you want to make sure you have the best wedding photographer on hand to capture all of those amazing moments. From the first step down the aisle to the last dance with your new husband, selecting your wedding photographer will be one of the most important decisions you could make for your wedding ceremony. Of course, selecting a wedding photographer is also one of the hardest decisions you’ll have to make. There are tons of talented photographers out there who are willing to vie for your business. Add to the fact that many photographers have portfolios of gorgeous and stunning wedding pictures, and it’s no wonder you’re having trouble selecting a photographer for the big day. And that’s exactly where these tips on selecting your wedding photographer come into play! One of the best places to find a high-quality wedding photographer in your location is on Facebook – and many of them will be your friends! Carefully scroll through your timeline to see if any of your artsy friends have photographs that speak to you. Do they have a photography business set up? Are they photographers by profession? While you may save a bit of money hiring a friend who does it in his or her spare time, this may cause issues in case the pictures aren’t professional or the friend suddenly flakes. Hiring a friend who runs their own photography business means they’ll treat your wedding with the professionalism you deserve. Selecting a wedding photographer means finding someone who is willing to do the work at a price you can afford. However, don’t expect to a professional photographer for just pennies on the dollar. The best photographers will charge a decent price, so be wary of photographers who are willing to deeply discount their prices. Be sure to ask for plenty of references and portfolios. Sometimes choosing the right wedding photographer simply comes down to liking one photographer’s pictures over another. Follow up with references to see what the photographer is like on the actual wedding day. Was the photographer on time? Did he or she capture the best moments? Was he or she quick to respond to emails and phone calls? Ask these questions to get an accurate idea of a photographer’s professionalism. Use these tips and techniques to find the best photographer for the most important day of your life: your wedding day! Remember to ‘like’ us on Facebook to get FREE return address printing! Hurry, this deal ends November 30, 2012, so don’t miss out on this picture-perfect offer! Engagement Photos: Should You Have Them? When it comes to throwing the kind of wedding your friends and family members will be talking about for years, there’s no denying you and your sweetheart will have to spend a great deal of money. With this in mind, it’s no wonder you’re considering cutting some things out of the budget, including engagement photos. Since an engagement photo session can easily run past the $1,000 mark (even the $2,000 mark, depending on where you live), you and your fiancé figure you can put that money towards a few extra dinner plates at the reception. Engagement photos are sweet, sentimental, and far more casual than traditional wedding photos. This is why so many couples opt to use their engagement photos as backdrops for save the date cards and magnets. It’s a great way to personalize these cards as well as let the world know how in love you are. Using your engagement photos for save the date cards and magnets is incredibly easy. If the company is online (like www.savethedateforless.com), all you have to do is upload the photo of your choice to the website, order your ideal number of cards, and type in personal information for the cards. Your save the date cards will be ready before you know it – and you might even save a significant amount of money as opposed to going to a traditional printer! Your engagement photos can also be used as a really cool way for your guests to wish you and your now-husband a happy life together. To do this, simply send your favorite engagement photo to a photo lab (www.mimosadigital.com can help). Have the lab use the photo to create a mat or a larger picture that can be placed on a prominent table during the reception. 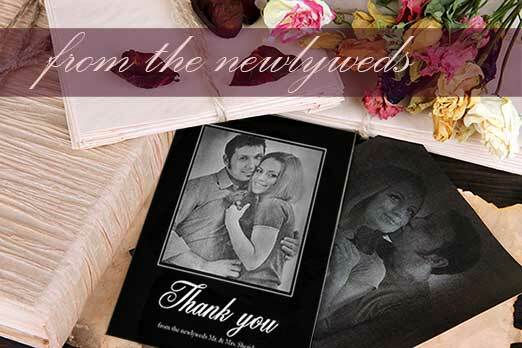 While you and your honey take wedding pictures, your guests will be able to sign the mat with their well-wishes. Take this picture home after the wedding to enjoy a truly amazing memento courtesy of your engagement photos! Engagement photos represent a special time in your life – so be sure to enjoy them! You’ll also enjoy saving money on your save-the-dates. Remember to ‘like’ us on Facebook to get FREE return address printing! Hurry, this deal ends October 31, 2012, so don’t miss out on this amazing offer!